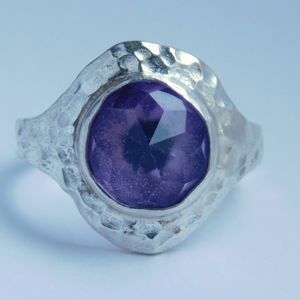 This hammered Sterling Silver ring features a stunning Amethyst. 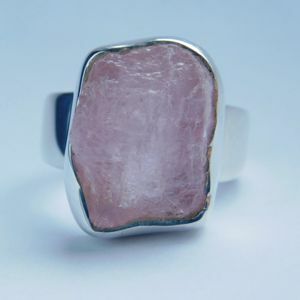 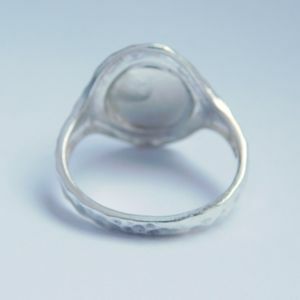 The Brazilian gemstone measures 8 mm and the ring size is 7. 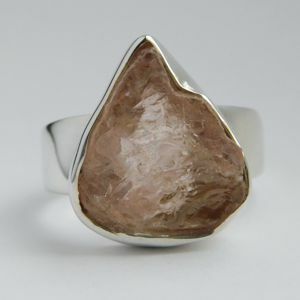 I carry this gemstone in stock and if you need another ringsize, please feel free to contact me. 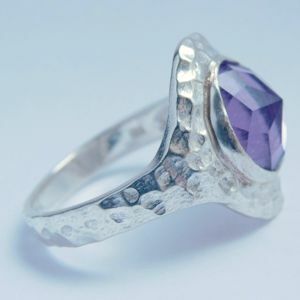 This item is handmade and comes in a beautiful gift box. 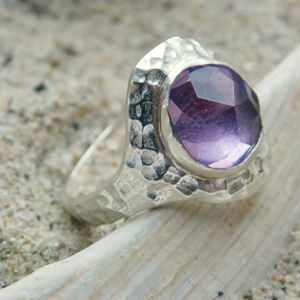 Amethyst is the purple variety of the mineral Quartz, and it’s most valuable and prized variety. 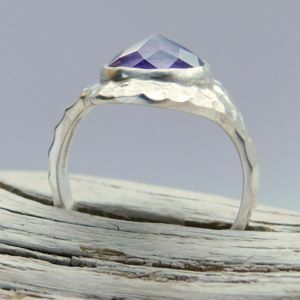 It’s name derives from the Greek “amethystos”, which means “not drunken”, as Amethyst in antiquity was thought to ward off drunkenness. 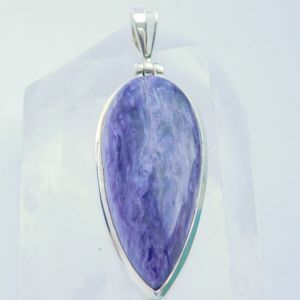 The purple gem is believed to be a natural stress reliever that encourages inner strength and peace. 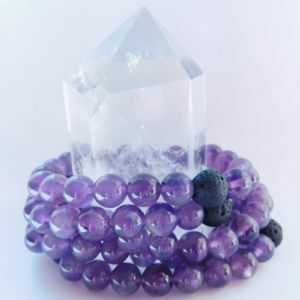 Amethyst crystals are said to bring wealth and invoke a strong business sense to it’s owner.